What’s better than a weekend spent watching football? 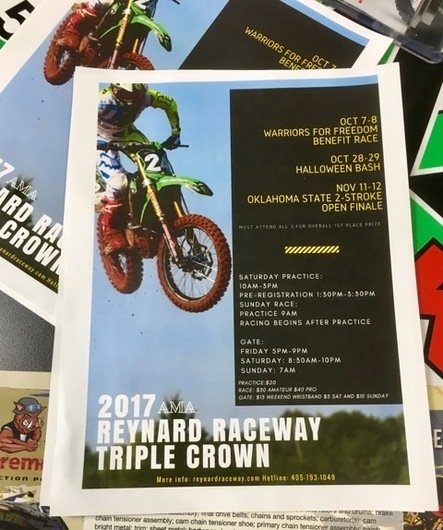 Why, the Oklahoma State 2-Stroke Open at Reynard Raceway in Wellston, OK! Really, the crisp fall air, broken by the bark of 2-Stroke exhaust, and the smell of Pre-Mix. Cmon, what are you waiting for? Grab the old scooter and join us at Robbie’s place. For you 4-Stroke fanatics, bring ‘em, you can run them too. Hope to see you there, just look for the Amsoil tent.